Here's another activity worth a try when you're in SOX - the Akfig Paragliding Adventure in the town of Polomolok in South Cotabato. We were able to try this exhilarating adventure yesterday and we had so much fun. Watch this video below in HD. 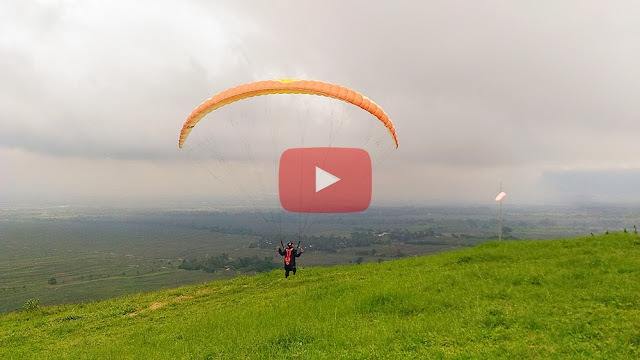 The Akfig Paragliding Adventure flysite is a hill at the foot of Mt. Matutum sorrounded by vast pineapple plantations. The place is accessible to vehicles and considered by paragliders as one of the perfect spots to enjoy this one of a kind adventure. Interested to fly? Contact Akfig Paragliding Adventure on Facebook or call 0917 712 1868.